4 days and nights of pure guitar pleasure! “I’ve got something very cool in store for you next year. Something we haven’t done yet with the G4 Experience. “The G4 Experience in 2016 will literally take me back home. In the past two years the camp was in beautiful Cambria, CA. but we started looking at the East Coast for a variety of cool reasons. The idea of Long Island came up and I thought it would be interesting because of the obvious connection. 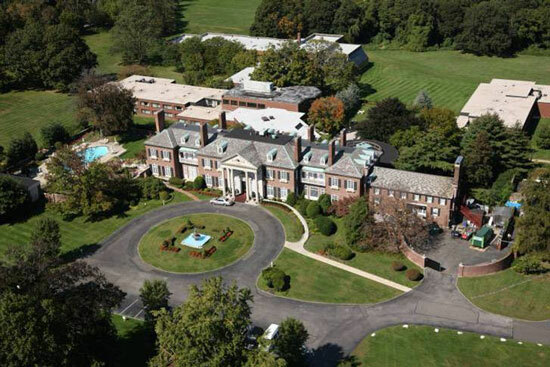 Funnily enough, Glen Cove Mansion, where we’ll be August 8-12, 2016, is very close to where I’m from. Once we chose the spot, the 2016 G4 Experience took on a very special meaning. We never repeat the same formula, but this homecoming really helped us reshape next year’s camp. “Obviously, I grew up in Westbury, Long Island, but there’s more to it than that. 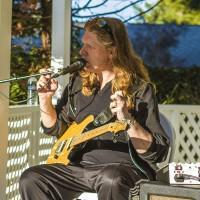 When I was a 14-year-old budding guitar player, I started my career at high school dances in the surrounding towns. At 16, I was playing bars in the area. At 17, I was doing weekend road trips to the Hamptons and performing at the clubs there. 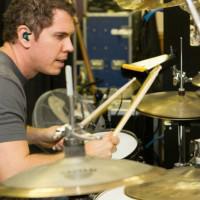 “My whole musical foundation starting on the drums at the age of nine centers around that area. I have so many family and friends there. Steve Vai and I became best friends back in high school! 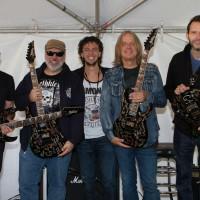 There’s just this special concentration of like-minded guitar players. 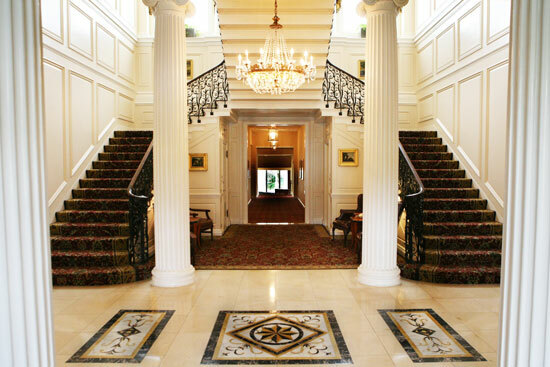 “This year, everybody will be staying in the incredible Glen Cove Mansion. 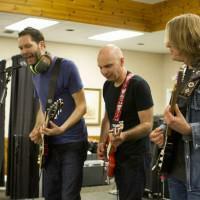 As far as instructors go, Steve Vai, Eric Johnson, Alex Skolnick, and Mike Keneally will all be joining me. As always, there will be quite a few elements we change up. Of course, you’ll get that incredible immersive interaction between students and teachers within the clinics. However, we’re evolving to not only keep the campers happy, but also to keep the whole thing interesting for the performers too. It goes beyond what you’d get at a gig or a regular clinic or class. We’re doing something unique. 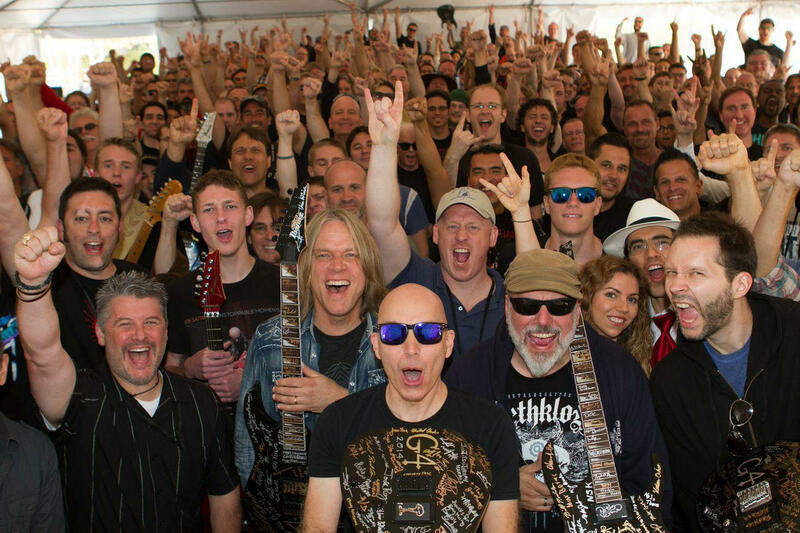 “The G4 Experience puts you together with 200 other extremely talented players from all stylistic sides of the guitar and from all over the world. You get to hang out with them, make connections, and trade wisdom. The classes are perfect for all levels, and they go deep. We’re not introducing any sort of competition or anything like that. This is all about learning together and tailoring your experience to your needs. “Being indoors at Glen Cove also allows the instructors complete control. The environment is totally reflective of the sounds we want to achieve. That’s a big part of this. “Ultimately, this is a great opportunity for everybody to make some incredible connections. The students become a catalyst for my reconnection with the instructors. I think it’s going to be unforgettable. I guarantee you that the students are going to feel this incredible atmosphere of camaraderie and feel the musical sharing. 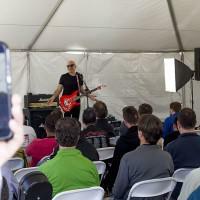 Joe Satriani’s G4 Experience is a unique guitar retreat, open to guitarists of all ages and levels and provides a once-in-a-lifetime opportunity to hang out with and learn from Joe and his band, plus G4 friends. 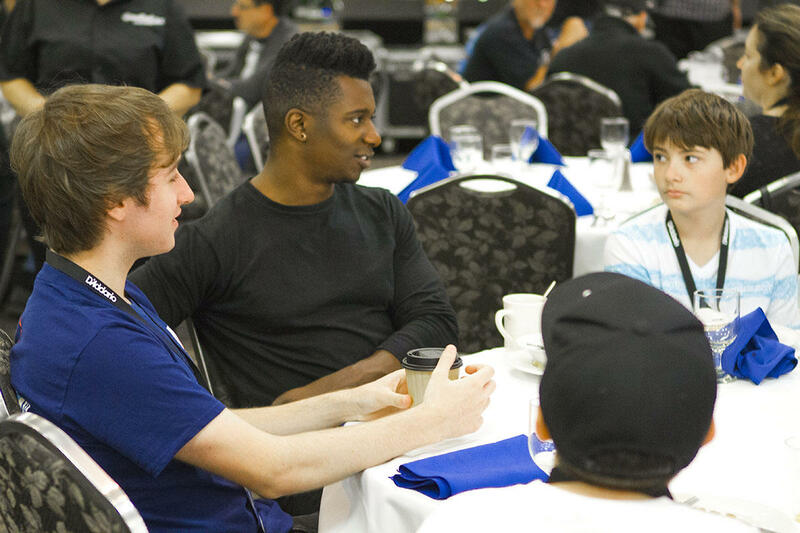 The G4 Experience is an event for players and music-lovers of all ages, levels, interests, and taste! Whether you are a master player, a beginner, or just an enthusiastic fan, our four day programs offer activities and workshops for you. Our environments are non-competitive and are strictly about immersing oneself in the joys of music and our lovely surroundings! 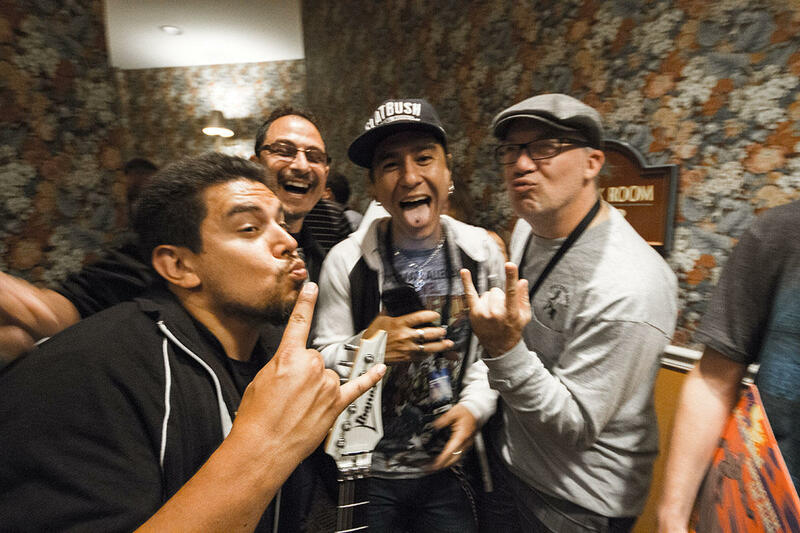 Don’t Miss Out on the G4 Experience 2016! Joe Announces Exclusive Commuter Package! Situated on 55 secluded acres on Long Island’s historic Gold Coast, 30 minutes from New York City. The spacious Georgian-style, circa 1910 mansion features stunning vistas of the Long Island Sound. The property features beautiful rooms and suites, which are situated in contemporary guest wings extending from the mansion. Meals will be shared in the Garden Room Restaurant, which has amazing views of the property. Guests can hang at Pub 1910. There are also a number of tranquil outdoor areas overlooking the Mansion’s Gardens, if you would like to take a break from the action. Glen Cove is a popular destination thanks to its pristine beaches, a gorgeous golf course and tree lined parks. New York City is an easy, short train ride from the property. There are a number of full-service marinas for boating enthusiasts. 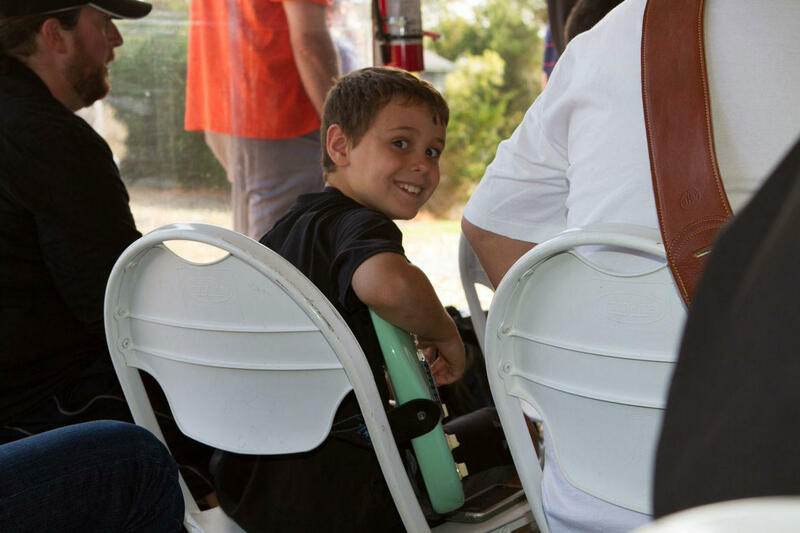 There is a city yacht club and a fully renovated launch ramp, which provides easy access to North Shore waterways..
“At the end of the day, we all love connecting with other musicians. We want this to be fun, but we’ll transfer the most information you could ever get. This is our chance to grow together as players. 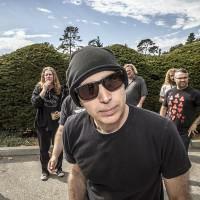 All 14 of Joe Satriani’s landmark studio albums, from Not of This Earth (his 1986 debut) through Unstoppable Momentum (2013’s masterpiece), are included in the new collection alongside “Added Creations and Bonus Tracks,” a newly-curated anthology disc of rare compositions and performances falling outside the purview of Satriani’s official album canon, and Surfing with the Alien, 1987’s platinum-selling breakout. 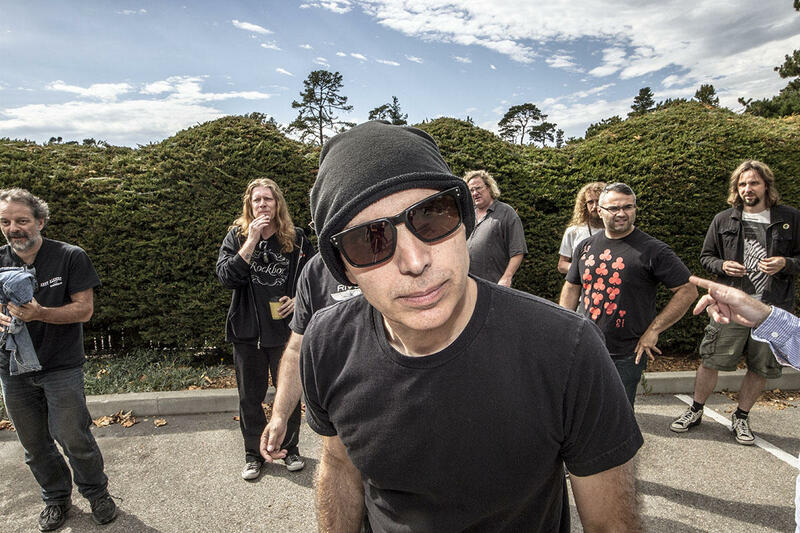 Joe Satriani: The Complete Studio Recordings is the ideal audio accompaniment to “Strange Beautiful Music: A Musical Memoir,” Satriani’s autobiography (benbellabooks.com), also coming in April. 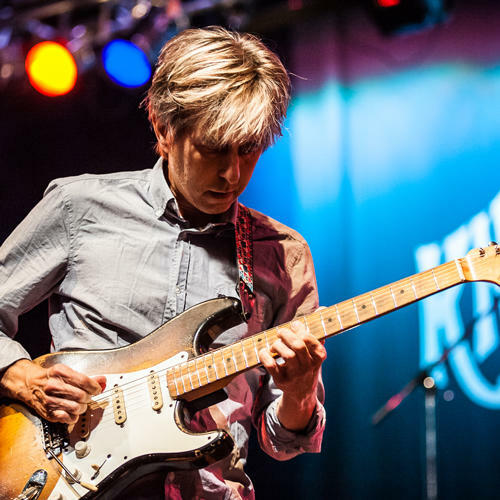 Eric Johnson is an absolutely amazing guitar player. He’s another great multi-instrumentalist and a beautiful composer. 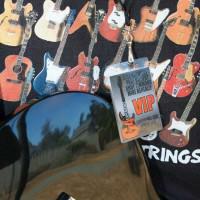 Everybody knows him for his guitar tones—from angelic clear to that big fat electric violin sound he’s so famous for. I’ve toured with Eric a lot. I have to say, I’ve stood on the side of the stage hundreds of times and watched his performances, and I remember always thinking, ‘I hope people remember this because when Eric decides he no longer wants to perform live, no one will ever hear anything like this again! It’s so original.’ What he does is purely Eric Johnson. 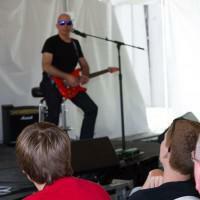 The fact he’s willing to come and spread the Eric Johnson word at the G4 Experience is really amazing. He stands in his own genre. He has so much to offer the beginner and the expert. 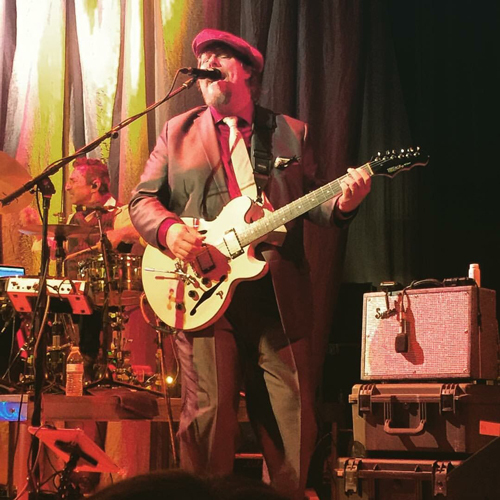 I think I’ve played on stage with Mike more than any other guitar player. A couple years ago, I invited him to play keyboards. He hadn’t been playing keyboard for years since he’d been focusing on guitar in Dethklock. As far as performing and improvising on the spot go, I found a kindred spirit. We go back to the first G3 tour. He was playing keyboards for Steve Vai at the time. We’ve had a lot of history. In the last six years, it’s been very concentrated on albums and tours. We just did a tour of Europe, and Mike was playing guitar at least 50 percent of the time. He’s one of those guys who’s impossible to categorize. I love that. He worked and toured with Frank Zappa. 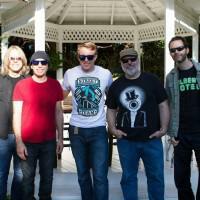 He’s toured with Steve for years and played on records. 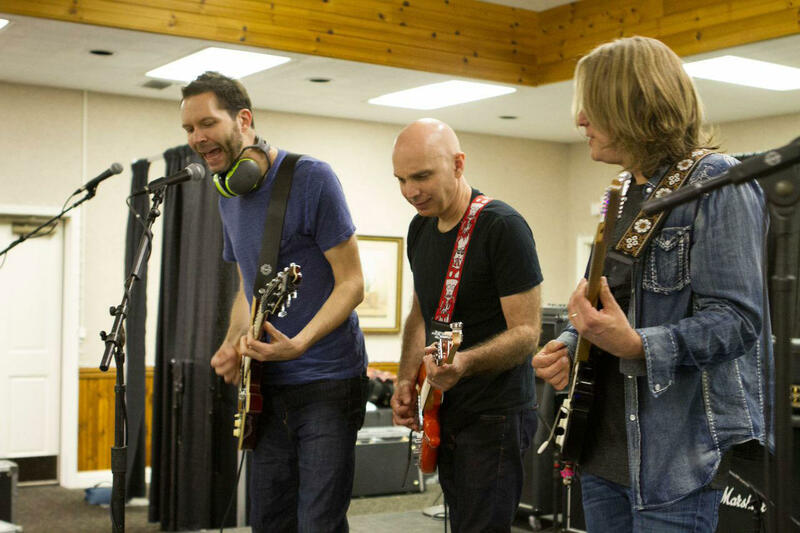 He’s a freak of a guitar player, a freak of a keyboard player, and a freak of a singer. He’ll dissect the secrets of music in his own unique way. I’ve known Alex since he was quite young. 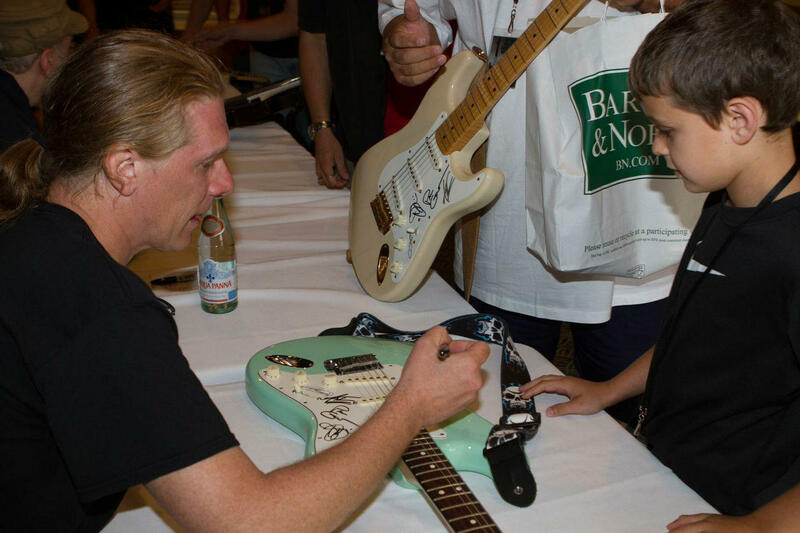 Very much like when I was teaching Steve Vai, I knew Alex was going to be an amazing guitar player. He was part of this whole generation I was teaching at this guitar store in Berkeley California. 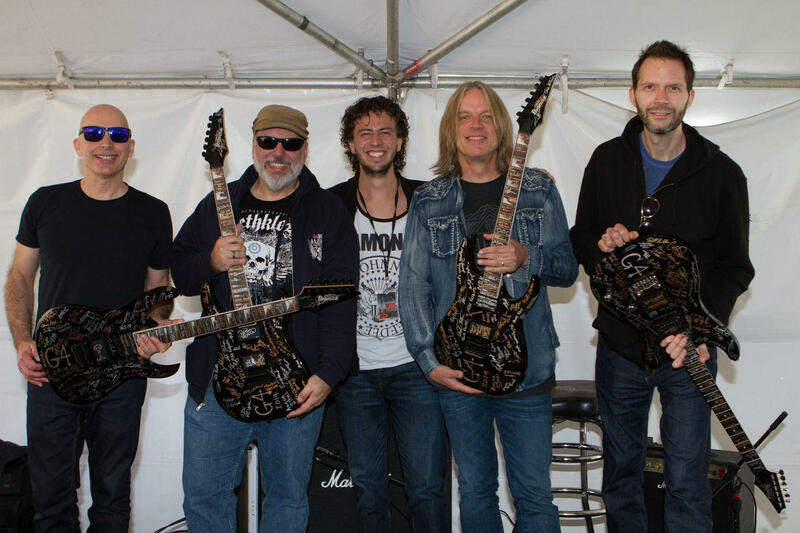 Players like Larry LaLonde, Kirk Hammett, and Alex—as well as 20 of their other buddies—comprised a generation that created a new sound in metal guitar. They wanted to be able to play like Jimi Hendrix, Tony Iommi, Michael Schenker, Uli Jon Roth, Eddie Van Halen, and the other greats. Then, they wanted to take it further. That’s exactly what Alex did. He’s very deep musically and can play a lot of music from around the world. His experience with Testament and several other bands is pretty remarkable. 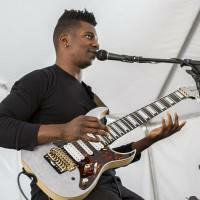 He’s an exceptional musician and guitar player. 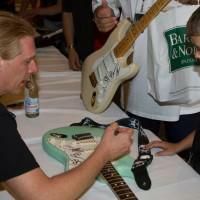 Marco starts to play organ at the age of 6, and then switches to drums and guitar at the same time at the age of 11. Fame strikes at the age of 19 when Marco’s reputation as an extraordinarily talented drummer and composer leads him to Munich. The first “crossover” band Freaky Fukin’ Weirdoz offer him a position as drummer in 1992, in connection with a major deal with BMG-Ariola. The Weirdoz are the originators of so-called crossover music. The Weirdoz have a gig with Nina Hagen on the album “Mao Mak Maa” creating a fantastic cover version of Ian Dury’s hit “Hit Me with Your Rhythm Stick” after which Marco was booked to play a Nina Hagen tour. Meanwhile, Marco’s reputation as a brilliant drummer reaches worldwide attention. 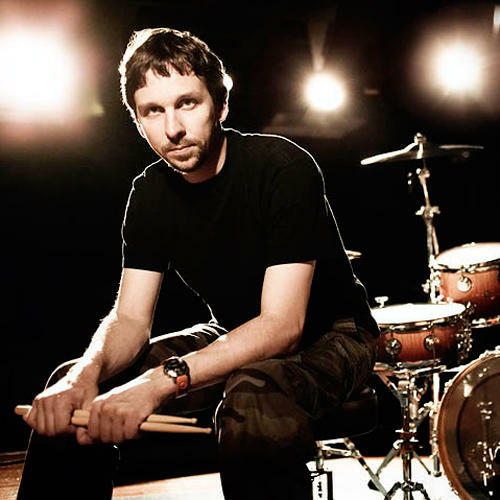 Prominent are his solo workshops, for example, at the Frankfurt Music Fair, PASIC in Dallas and a solo performance at the Modern Drummer Festival in Toronto, where Marco has the honor of being the first German drummer to display his talents. This performance, in the eyes of professionals and music trade magazines, catapults him into the Top Ten of the drumming world. 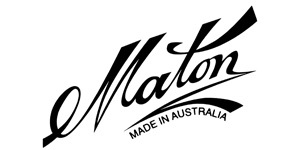 Following Drumfest, including the Australian TUDW fest and the Montreal Drumfest in Canada, Marco produces four albums with his own band Illegal Aliens. Since then, Marco has released 14 solo albums: “The Green Mindbomb” and “Comfortably Homeless”, “Orchids”, “Broken Orange”,“Mieze”, “Contraire de la Chanson”,”HWDATK”, “A Mouth of God”, “Normalizer 2″, “Catspoon”,“Evil Smiles of Beauty/Sound of Crime” and “Symbolic Fox”, “EEPS” and “Celebration”, which are more on par with his talents as a multi-instrumentalist, composer and producer. “Motor”,“Normalizer 1″, “Disarmed” and “Shining” come out in collaboration with the sound designer Mario Brinkmann. 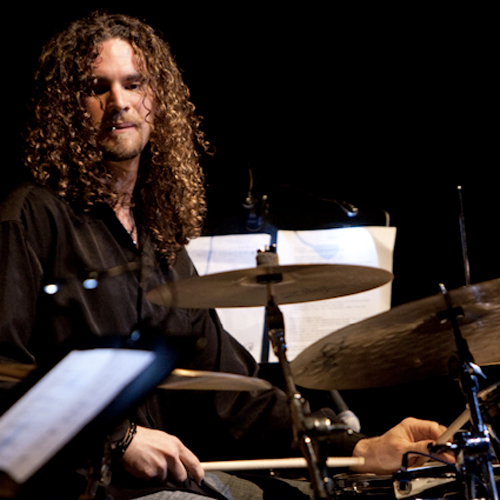 Marco also co-produces and plays instruments on Paddy Kelly’s solo CD, which enters the charts in 2004, and plays on the double-platinum CD “Nena feat Nena”. His work as an educational book author along with Rick Gratton brings out two books including the award-winning and in many magazines as #1 voted “Extreme Interdependence”. Also, one of his DVDs “Extreme Drumming” wins the polls and wins Marco a Telly Award. Marco is featured on the title page of Modern Drummer Magazine in June/July 2007 and the Brazilian MD, August issue of 2012. In August 2008, he lends his voice to the Metalocalypse episode “Snakes and Barrels”. 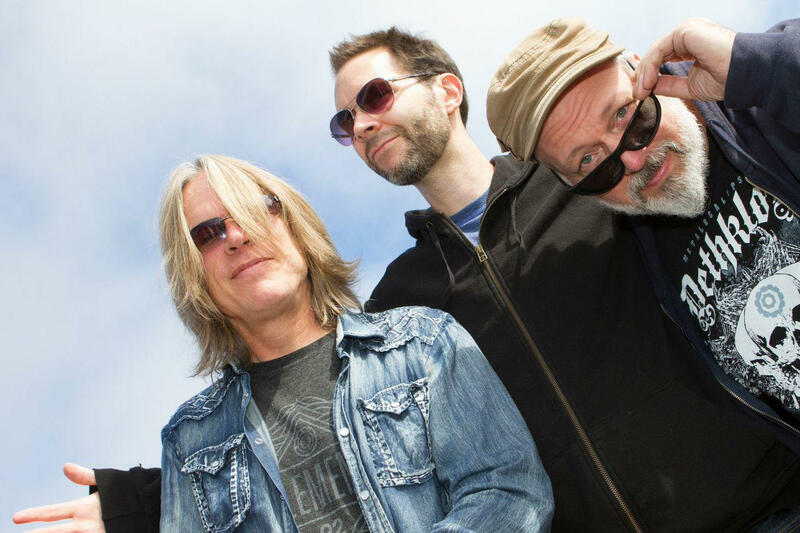 “Normalizer 2″ is released in 2012, a concept featuring Mike Keneally, Trey Gunn, Alex Machacek, Mario Brinkmann, John Czajkowski and Marco writing separate versions to a 51 minute drum solo. The Aristocrats’ DVD “Boing! We’ll Do It Live” as well as the Steven Wilson DVD/Blu-Ray “Get All You Deserve” are released in Fall 2012, Steve Wilson releases “The Raven that Refused to Sing”in 2013. In 2014, Marco’s album “EEPS” is released. Also the Aristocrats are putting out their second album “Culture Clash” followed by the DVD release “Culture Clash Live”, which was filmed in 7 different cities around the world. 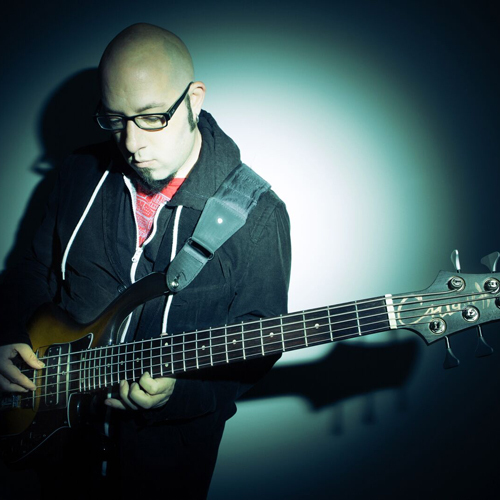 Marco plays on Steven Wilson’s “Hand.Cannot.Erase” album, which is released in February 2015, followed by a tour. Marco’s album “Celebration” is released in June that same year. 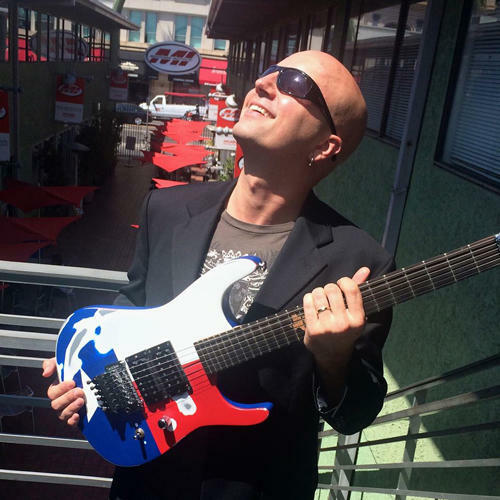 He records for Joe Satriani’s album “Shockwave Supernova”, hitting the markets in the summer, which season also sees the third Aristocrats album, “Tres Caballeros”. 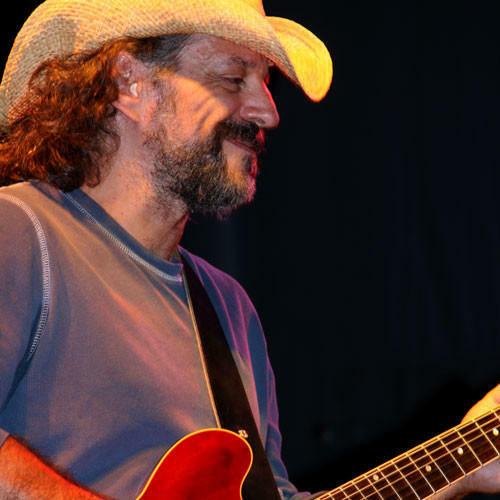 For 30 years, Andy Aledort has been a significant figure on the international music scene as both a guitarist and a journalist. 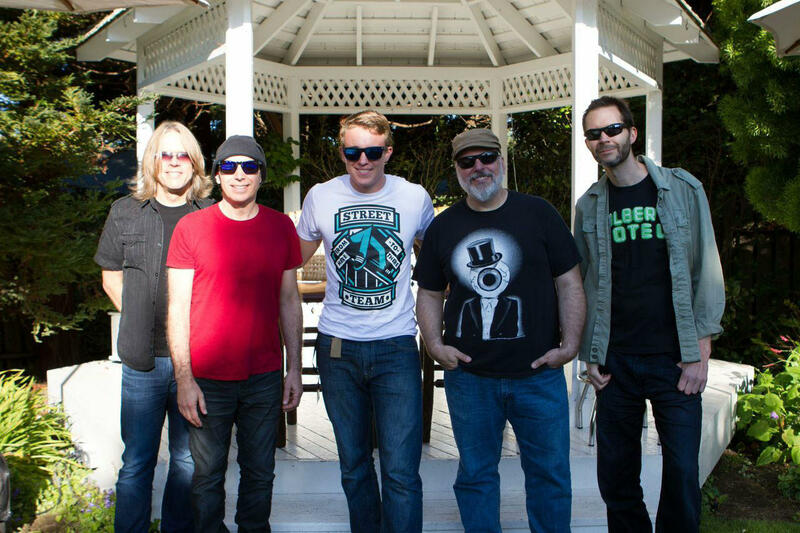 Aledort has been touring for the last ten years with Dickey Betts of the Allman Brothers and plays slide guitar in the band. 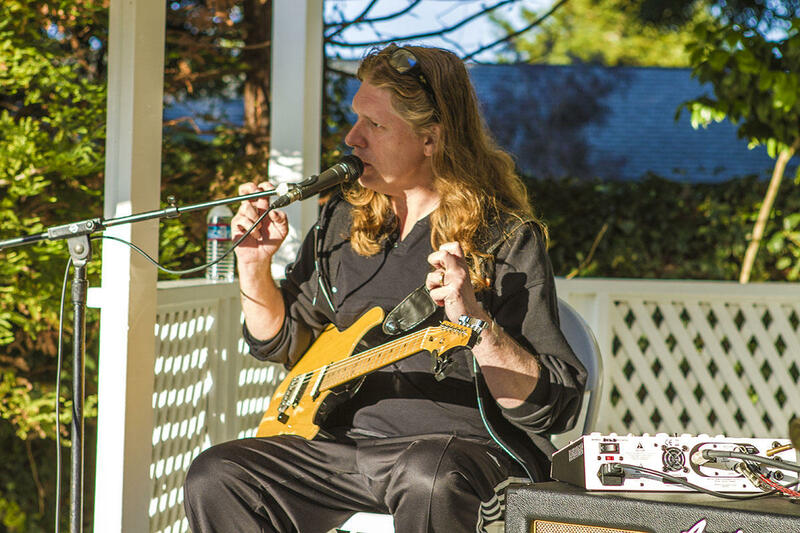 Aledort regularly participates in the Jimi Hendrix Tribute Tours of the last nine years and is featured on the live Experience Hendrix DVD appearing with Paul Rodgers, Buddy Guy, Hubert Sumlin, Mick Taylor, Mitch Mitchell, Billy Cox, Robert Randolph and others. He’s also performed and recorded many times with Double Trouble, Stevie Ray Vaughan’s rhythm section of Tommy Shannon and Chris Layton. His work as a journalist, instructional columnist and music transcriber is unsurpassed. 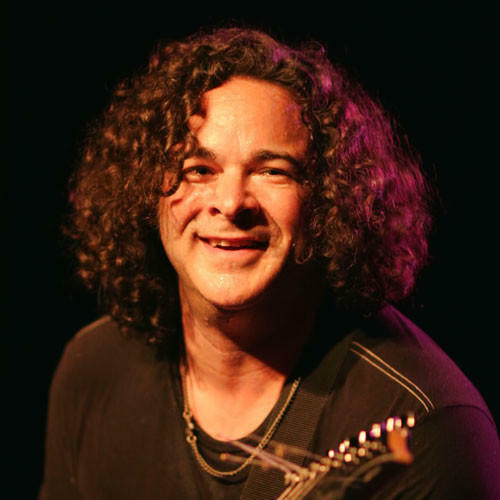 He has authored over 200 books of guitar transcriptions as well as a series of guitar-related instructional books and DVDs, all of which are distributed worldwide by the leading music publishers Hal Leonard Corp., Warner Brothers Publishing and Cherry Lane Music. 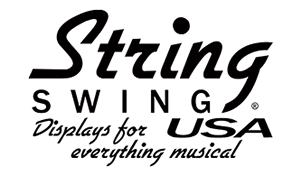 Aledort has sold over one million instructional DVDs, and continues to produce new DVD products for Guitar World and Truefire. 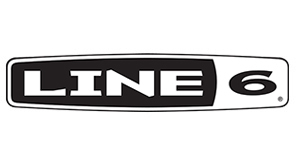 As a sideman, some of the musicians he has recorded, toured, or performed with include: Vernon Reid, Thomas Pridgen, Gene Lake, Kenwood Dennard, Jeff Bhasker, David Gilmore, Victor Wooten, Cindy Blackman, Corey Glover, Keith Carlock, John Scofield, John Medeski, Chris Buono, Marc Cary, Matthew Garrison, The Roots, Grand Puba, Graham Haynes, Screaming Headless Torsos, Terri Lynn Carrington, John Shannon, David Fiuczynski’s KIF, Jacques Schwarz-Bart, Dean Bowman, DJ Logic, Maya Azucena, Sam Kininger, Adam Deitch, Steve Hunt, Eric Krasno, Hiromi, Jeff ‘Skunk’ Baxter, John Blackwell, Sean Rickman, Federico Gonzalez Pena and many others. As an educator, he has taught at Berklee College of Music’s BassLines Summer Program (now called the Victor Wooten Summer Bass Workshop) for the past 11 years. He has also taught masterclasses and clinics all over the world and was part of the first group of faculty to teach at the Swarnabhoomi Academy of Music in Southeast India in the Summer/Fall of 2010. Steve is currently an artist-in-residence at The Collective NYC. He also teaches private lessons in person and via Skype. 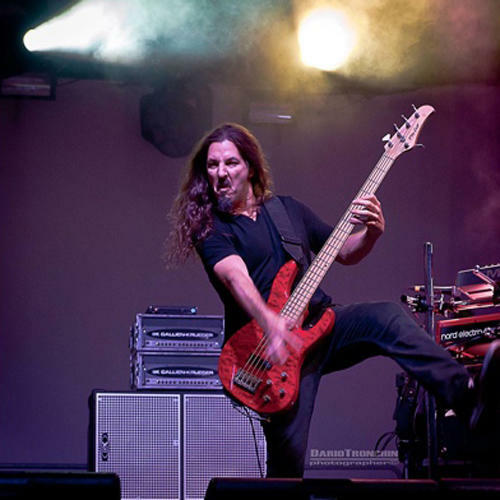 In addition to that, he is an occasional columnist for Bass Player magazine and has a column which debuted in the Holiday 2015 issue called “Extended Technique”. Teddy Kumpel is an American, New York based guitar player, singer, producer and engineer who has worked with Joe Jackson, Rickie Lee Jones, Feist, Nine Inch Nails (as a background singer), Marshall Crenshaw, Laura Branigan, Teddy Thompson, Billy Martin (of MMW), Sharissa, Saul Zonana, John Robinson, Janice Robinson, Michael Bland, Omar Hakim, Kenny Wollesen’s marching band, Janet Jackson (remix with Junior Vasquez), Paquito D’Rivera, Jonah Smith, Anna F (won an Austrian Amadeus award for album of the year), Michael Blake and Blake Tartare, Toots Hibbert, Toots Thielmans, Frankie Paul, Timothy “Speed” Levitch, Eric Schenkman (Spin Doctors guitarist), Goodie Mob, Tony Scherr, Tower of Power, Leslie Mendelson, Clark Gayton’s Explorations in Dub, Spottiswoode and His Enemies, Dennis Brown, The Supremes, India Arie and many feature film scores composed by Alex Wurman including “Temple Grandin” (Emmy winnner 2010), “Anchorman”, “Confessions of a Dangerous Mind” and “Taladega Nights”. 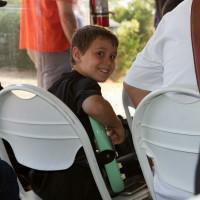 Teddy also played on the 2016 Grammy award winning children’s album ‘Home’ by Tim Kubart. Despite what the multi layered sound might tell you, everything you hear from the Teddy Kumpel LOOPestra on stage is played live. LOOPestra is an orchestra of guitar loops. With innovative use of looping technology and his vast experience mangling vintage and modern sounds Teddy effortlessly creates myriad textures that make you think there must be a whole slew of musicians hiding backstage. 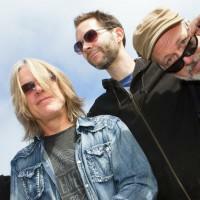 A veritable funkdafied psychadelic orchestra appearing as a rock trio! Joining Teddy are New York’s best and brightest musicians. A different rhythm section every time. Shawn Pelton and James Genus (Saturday Night Live), Keith Carlock (Steely Dan), Aaron Comess (Spin Doctors), Tony Scherr and Kenny Wollesen (Bill Frisell), and world reknown musicians Tim LeFebvre, Henry Hey, Erik Deutsch, Richard Hammond, Jonathan Maron, Mark Guiliana, Josh Dion, Bob Stander, Allison Miller, Rene Hart, Chris Morrissey, Jojo Mayer, Ben Perowsky, Dan Weiss etc… it’s a rotating cast of NYC music stars. Plus Special Guest, Steve Vai!! It gives me tremendous pleasure, and is an honor to join Joe and the gang at his upcoming G4 camp August 2016 in Glen Cove New York. There will be enough notes flying, good vibes, and uplifting raps to feed an army of guitar lovers. We’ve really taken your suggestions to heart. 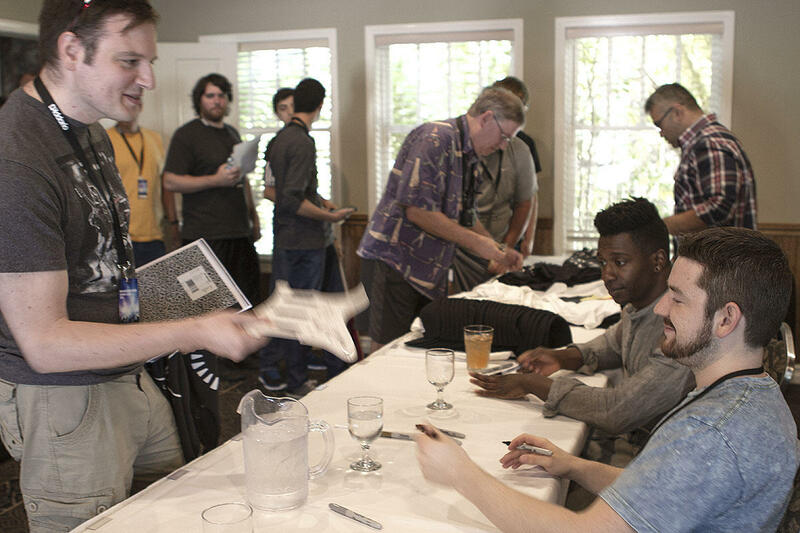 Everybody loved the Q&A session, so that’s back and better than ever. For the classes, you can expect a variety of master classes perfect for all levels. Even though something might be focused on super advanced material, everybody is invited to any class. You’ll have an opportunity to pick which master classes you’d like to attend and the cool thing is, after each master class, there will be a wrap-up class going over the main concept, so if you miss the class, you can check that out. This seems to really help and enhance the experience. We’re going over such a large amount of musical material every day, but we’re making sure you have the opportunity to check out all of the performers and teachers. You won’t miss out on any instructor, style, or opportunity. 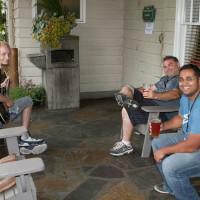 Teddy, Kenny, and Steve will be jamming with campers from 2:00-7:00PM. Eric will begin each workshop demonstrating personal playing techniques and equipment set up and settings then start the questions from the attendees. 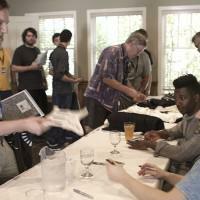 He will then take the workshop in the direction of the subjects that YOU want to know about or discuss, this included bringing some of you on stage to attempt certain techniques while Eric comments or instructs on how to improve. 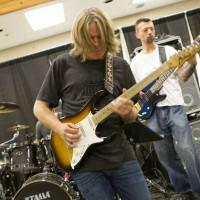 In one session he will explore deep into chord construction and in another lead techniques. 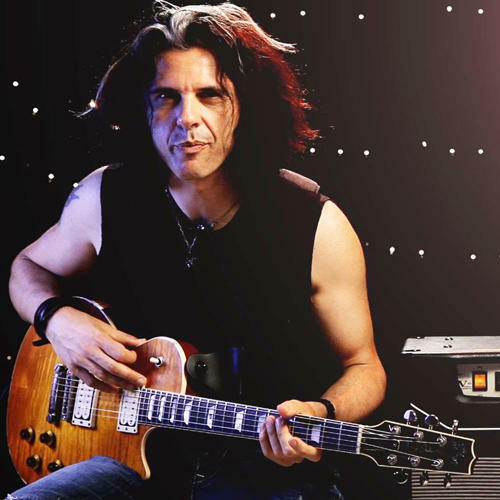 also he will be there to answer everything you want to know about his muting techniques and of course the myriad of guitar set up, equipment, pedal and wiring issues and set ups! Scales and Soloing Concepts with Tosin, Major Modes and Related Scales with Andy, or Taking the Mystery Out of the Neck (Beginners) with Bruce. Scales and Soloing Concepts with Tosin or the Aristocrats Ensemble Class, Song Dissection with a focus on Group Improvisation. 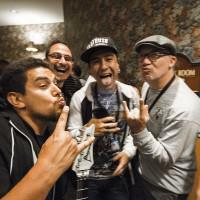 Breakout Sessions- Choose the Joe Satriani Master Class: Discussing Live & In-Studio Performance, Starting a Song – Theory & Technique Ideas to Start a Song with Javier, or Coordination for the Modern Drummer with Matt. 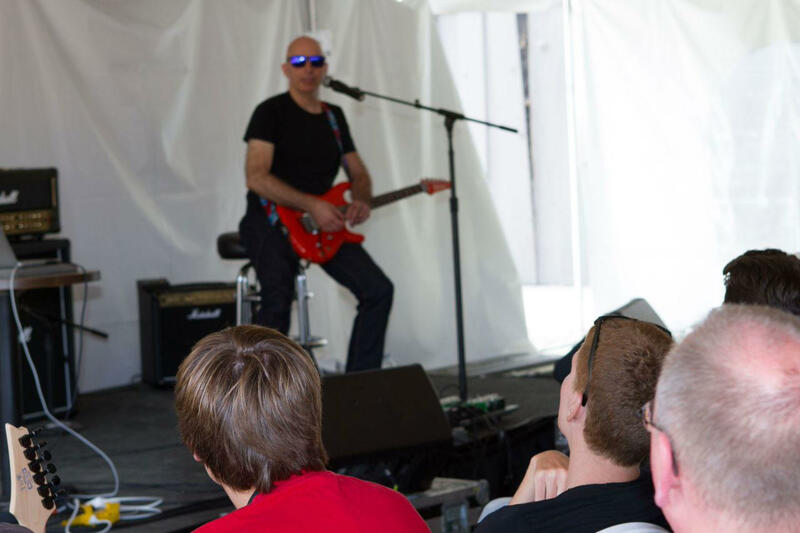 Breakout Sessions- Choose the Joe Satriani Master Class: Discussing Live & In-Studio Performance, the Animals As Leaders Ensemble Class, or the Drums Workshop with Marko. 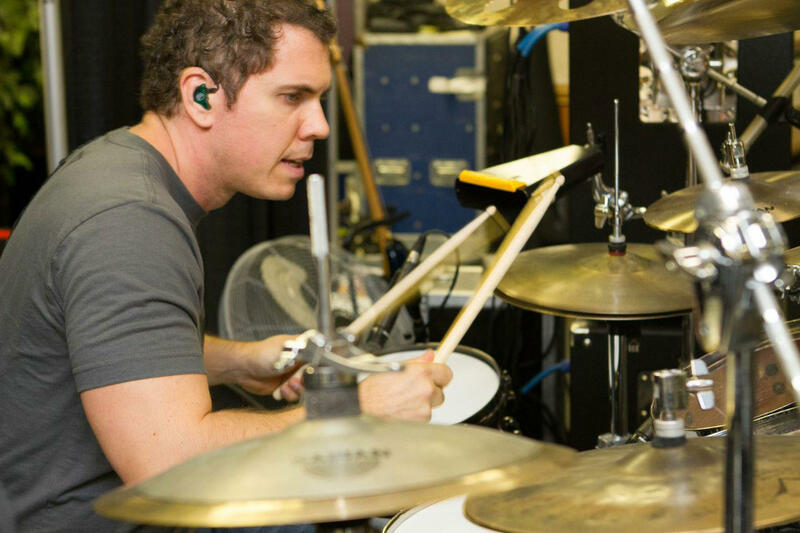 Breakout Sessions- Choose from Grooving with a Drummer with Stu and Bryan, Playing the Right Notes – Focusing on Note Choice and Improvisation with Guthrie, 5 New Guitar Exercises Created for G4 with Mike, or Working Through Joe’s Masterclass with Doug. 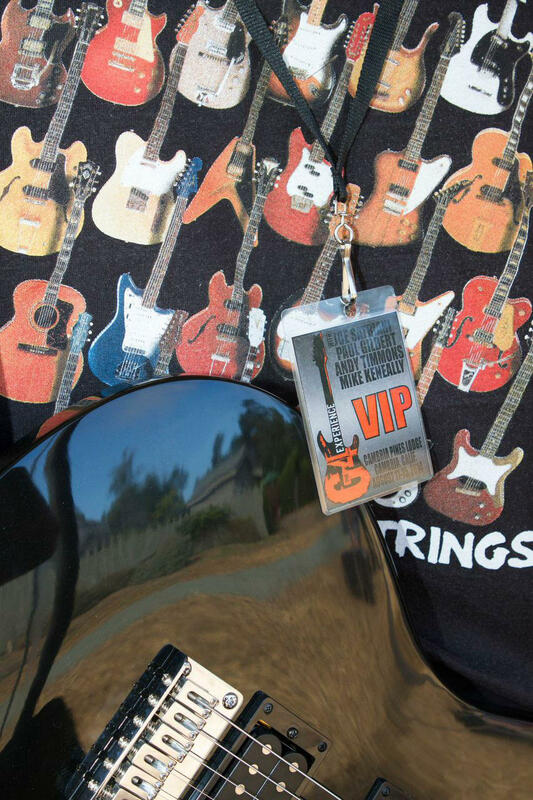 Breakout Sessions- Choose to work with Guthrie on Playing the Right Notes – Focusing on Note Choice and Improvisation, with Mike on the Pigtronix Workshop, or with Stig on a TBA Class Topic. 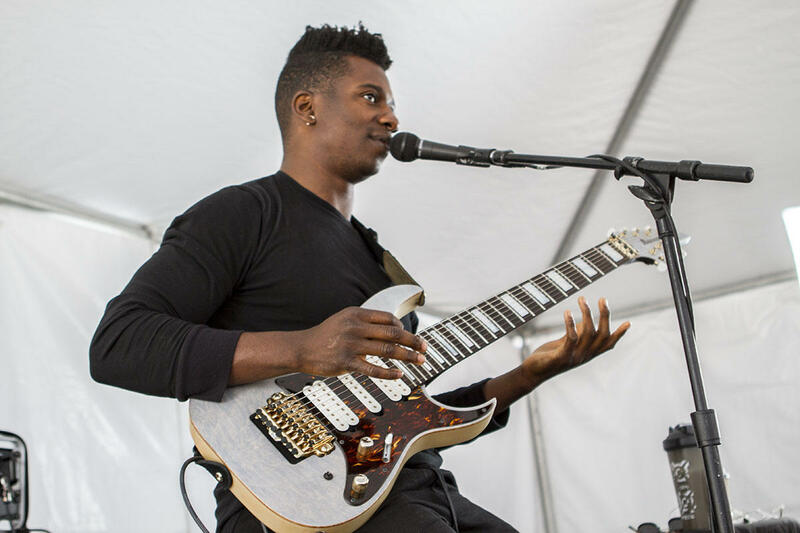 Breakout Sessions- Choose from Playing the Notes Right – Focusing on Tone, Articulation, Bending, and Sliding with Guthrie and Extended Range Chords Construction with Tosin. 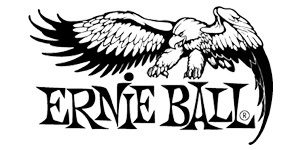 Breakout Sessions- Choose Playing the Notes Right – Focusing on Tone, Articulation, Bending, and Sliding with Guthrie, or the Ensemble Class with Animals As Leaders. 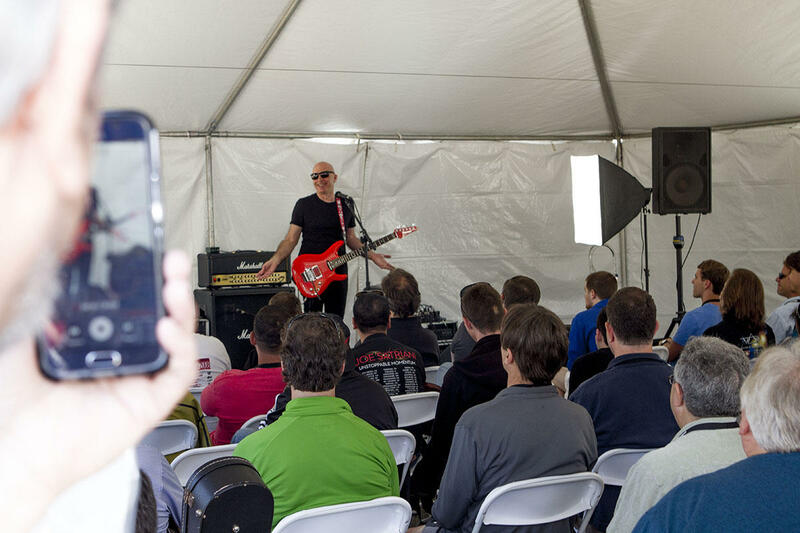 Joe Satriani Master Class: Advanced Techniques, Extended Range Chords Construction with Tosin, the Tone Workshop – Building the Chain of Sound with Stu & Bryan, or a Drums Workshop with Marco. 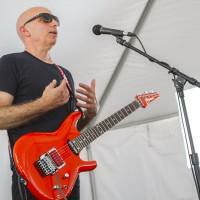 Breakout Sessions- Choose the Joe Satriani Master Class: Advanced Techniques or Finger Picking – Exercises to Strengthen Finger Style Picking with the Javier. Breakout Sessions: Choose Working Through Joe’s Masterclass with Doug or Song Dissection with a focus on Stylistic Versatility with the Aristocrats. 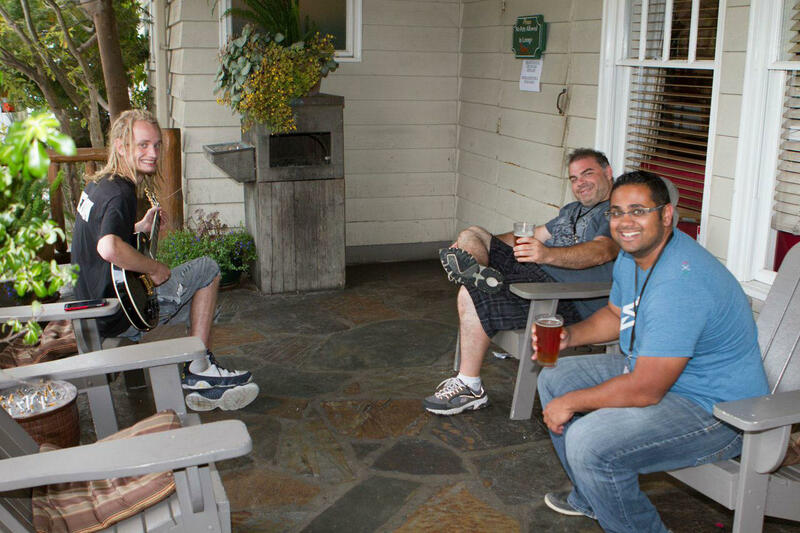 Breakout Sessions- Choose Learning As You Compose Analyzing Key Guitar Phrases with Mike, Practice Methods, Time Management, and Efficiency with Matt, Triads and How They Function (intermediate) with Bruce, Minor Modes and Related Scales with Andy, or a TBA Class Topic with Stig. 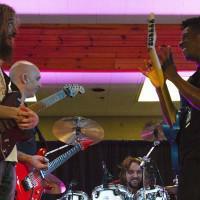 Breakout Sessions- Choose to work with Tosin on Thumping and Tapping, with Mike on Guitar/Keyboard As One Instrument and Q&A, with Andy on Lick Vocabulary & Phrasing, or with Bruce on Advanced Triads and Blending with Basic Scales (Intermediate to Advanced). 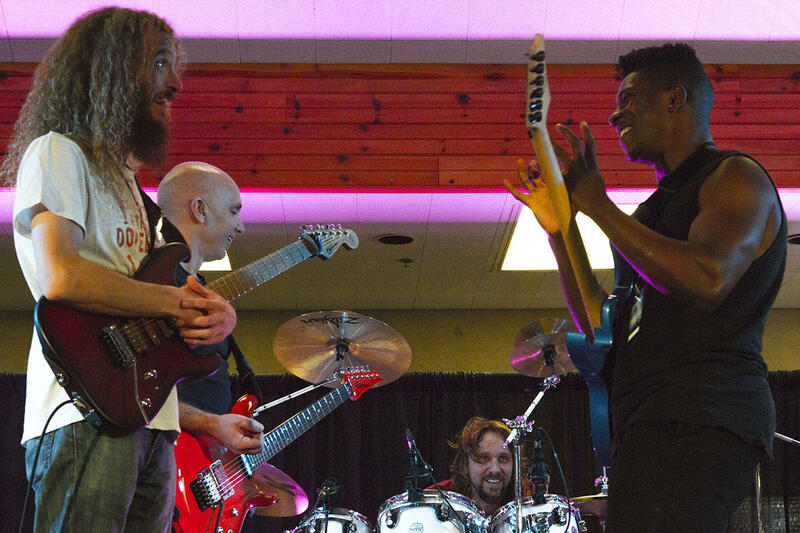 Breakout Sessions- Choose from Thumping and Tapping with Tosin, Technical Concerns – How to Approach Various Technical Aspects of Playing the Guitar with Guthrie, or Chop Madness – Taking Licks to the Next Level with Matt. 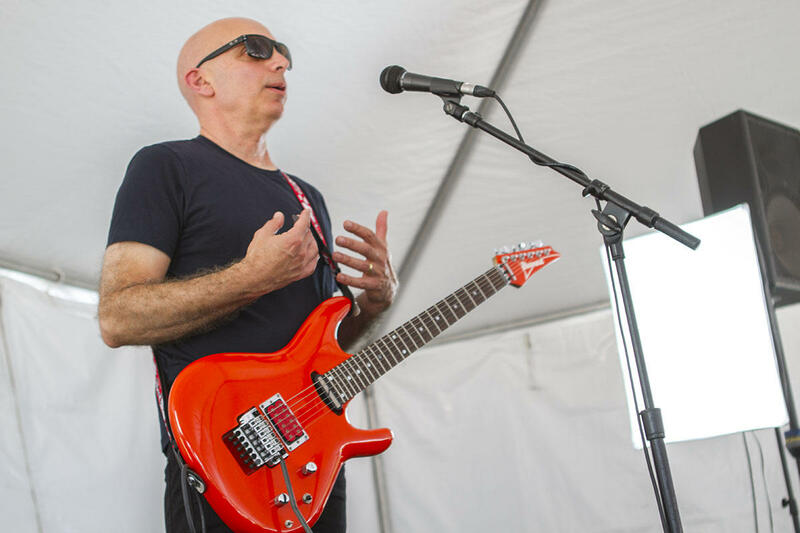 Breakout Sessions- Choose Joe Satriani’s Master Class: Music Theory & Using Composition to Advance Your Overall Muscianship or the Aristocrats Ensemble Session. 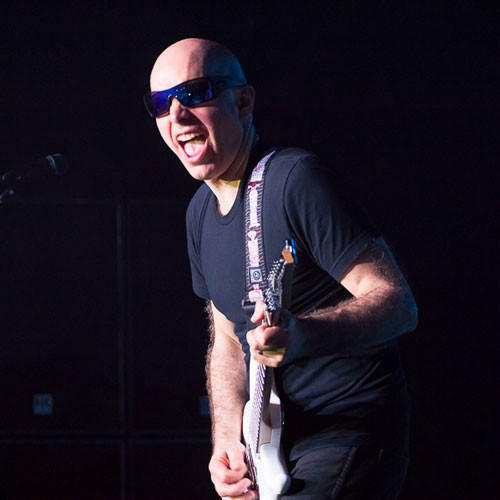 Joe Satriani Master Class: Music Theory & Using Composition to Advance Your Overall Muscianship, the Animals As Leaders Ensemble Session, or Stu & Bryan’s Modern Bass Techniques – Beyond the Normal. 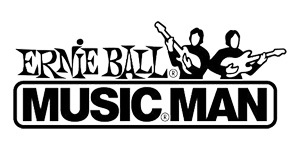 Breakout Sessions- Choose Javier’s Chord Making – An Approach to Understanding & Building Chords, Guthries’s Technical Concerns – How to Approach Various Technical Aspects of Playing the Guitar, Doug’s Working Through Joe’s Masterclass, or a TBA Session with Marco. 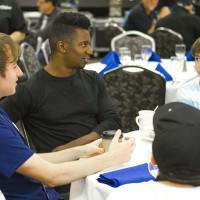 Breakout Sessions & Discovery Rooms with the guys. 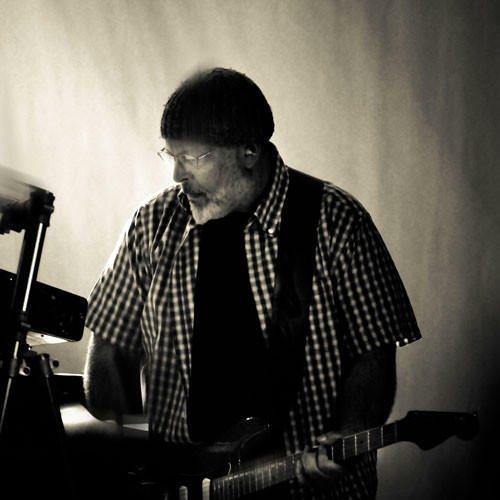 Performance with Mike Keneally and Friends! 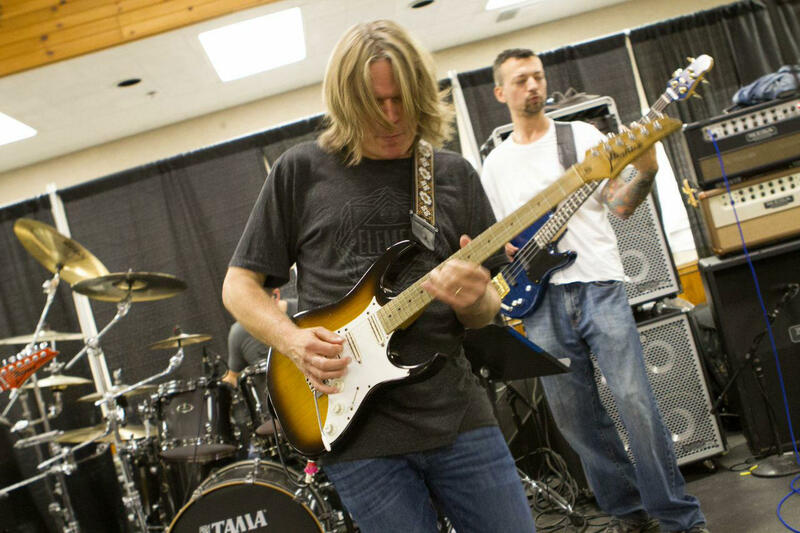 Performance with Andy Timmons and Friends! 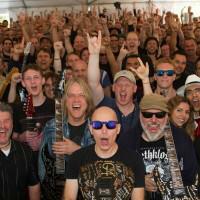 Finale Performance with Joe Satriani and Friends! Our Commuter Package gets you in to all workshops, concerts, and activities and includes all of your meals. This package does not include lodging. You are welcome to spend the night wherever you choose. 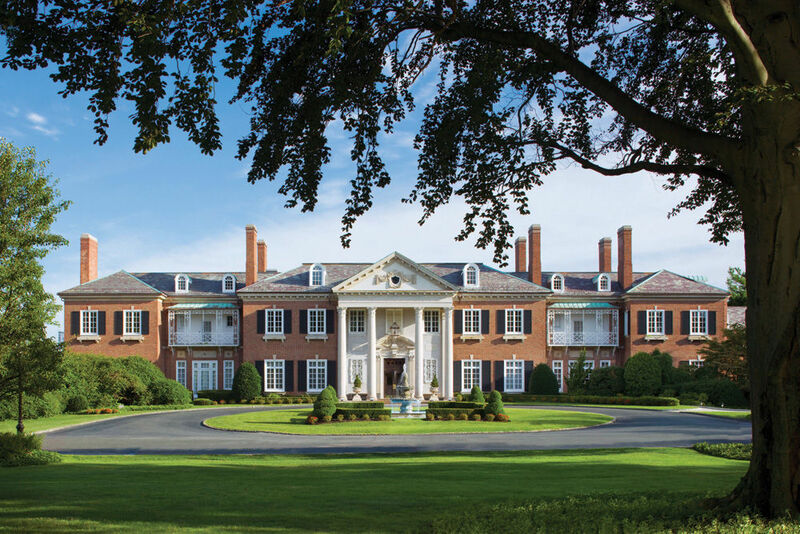 Parking is available at Glen Cove Mansion, for those who choose to drive. New Registrations Only. You cannot downgrade from a room you have already purchased. 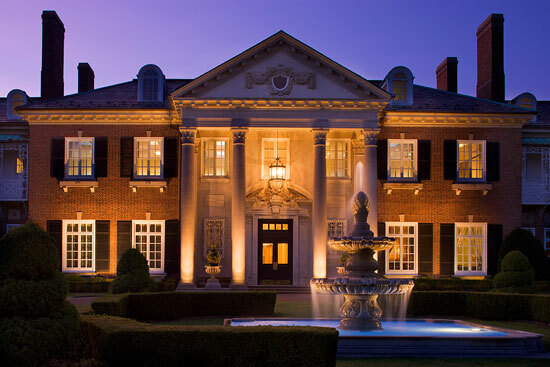 Please note, pricing is per person and all registrants must stay at the Glen Cove Mansion. A standard room with one King bed. A standard room with a King bed meant to be shared by a couple. Please note, pricing is for the room and two registrants, and all registrants must stay at the Glen Cove Mansion. SIGN UP BELOW FOR INFORMATION ON FUTURE G4 EVENTS. Click close to visit the G4 Experience Site!